The world famous Skylon Tower Niagara Falls is located in the heart of the Niagara Falls entertainment district, and offers a truly panoramic view of the natural beauty that surrounds the city. The ride glides you smoothly to the top of the tower while you are tucked safely in an enclosed glass 'yellow bug' elevator. You reach the top in just 52 seconds and once you have arrived the views are breathtaking. 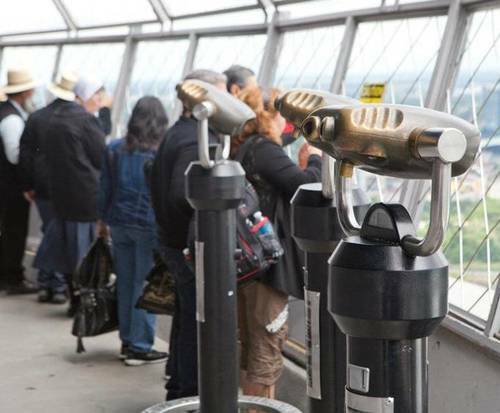 From the Skylon Tower Ride To The Top Observation Deck you will be able to take in views from the Niagara Falls, Great Gorge, Niagara Wine District, as well as see the city skylines of Toronto and Buffalo, New York. The tower is located just steps from the Niagara Falls and conveniently located across from the Fallsview Casino. 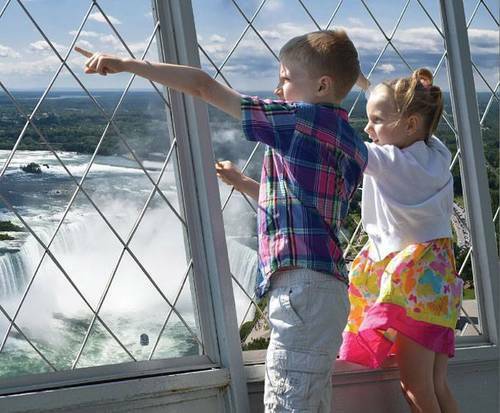 No matter what you decide to do while in the falls you cannot miss the Skylon Tower Ride To The Top Observation Deck. 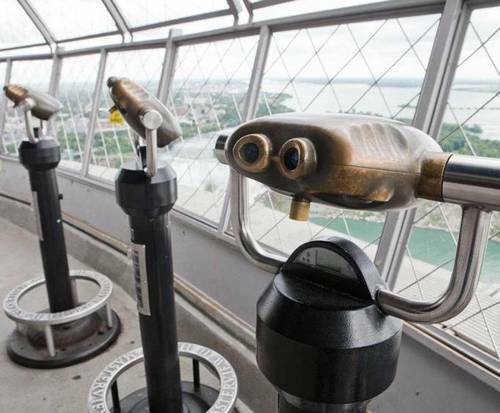 The indoor and outdoor observation decks will marvel you with a view from the highest vantage point in Niagara with the ability to see 8,000 square miles of Canada and the USA. "Great views day and night." Great views day and night. Well worth the time. A great experience .... We had the opportunity to be on the skylon tower in the evening and looking at the lights on the falls. After the cruise on hornblow and an amazing walking up and down along the road to see the falls, the observation from the deck of tower was the top of the day. The view of the falls and all of niagara, canada was super. Especially at night when the falls are lit up. Absolutely gorgeous. Anyone visiting the falls should share this view.